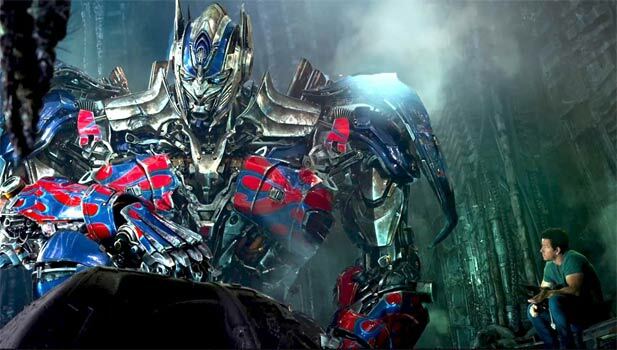 A little over two weeks ago Transformers: Age of Extinction, the latest edition of the Michael Bay action franchise premiered to a global audience. Thanks to the (improved) efforts of Ster Kinekor Zimbabwe we now have a chance to watch it, as well as other blockbuster releases whilst they are still current. For any Autobot/Decepticon fanatic the mind-numbing movie theatre action experience will cost you just $7*(That’s $6 for the ticket and $1 for 3D glasses). It’s definitely way more than what a street DVD vendor will ask you to pay for that “90% quality” copy of the same flick, recorded in some movie house in Asia. Then again, what’s $7 for 3D cinema and a larger than life experience of Dinobots and Optimus Prime glory right? This same nominal $7 is what it will cost any SME, startup or uninformed local company to register a .co.zw domain. Yes, for just $7 a year you get to register a domain which is part of the process to get a website for a business that hasn’t had any web presence. For that price i can register my own www.bumblebeebarbers.co.zw . With the right website, SEO techniques and online marketing strategy this would give my little establishment in downtown Harare a huge advantage over competitors still using placards as the only visibility strategy. Since the internet has already become a strong part of the human experience one would expect that the least that any business can do, whether small or big, is to have a (decent) website with a local domain to establish relevance to the local market. Far from having any legislative sway I think it actually behooves the lawmakers to make it mandatory for every registered company to have a website. Think of it as something in the Companies Act for instance. It would have a large impact on local content creation particularly if this was instituted for the SMEs that are a huge contributor to national economic progress. For the Zimbabwean economy the vaporisation of formal employment opportunities has resulted in more and more people setting up their own shop to provide unavailable products and services. Some of these SMEs and (shockingly) tech startups do not have a site or a local domain that helps confirm the “Proudly Zimbabwean” tag. Every startup, “consultant” and “muindegenous ” from the butcher, the baker to the candlestick-maker should have their own website, with a local domain, and an appreciation of social media as a cost effective marketing tool. After all, a local domain only costs the same as a movie ticket. I don’t understand, what is the catch here. You say the promo is $7 per year or $10 per year. On the Name.co.zw the price is $46.99/year! way too much for a domain. Getting a .com is better than getting a co.zw domain. Ok then how do you explain the $46.99/year! indicated on the site Name.co.zw. I want to register a domain not for $46.99/year! you may be viewing their site from a mobile device or ur ip address is masked because their system ties yo ip to yo billing category. if yu are local then its 10 and if yu outside zim its 49.. I dont understand, is the article complaining about the fees charged muma movie house or that there so many people who are wasting money going to the movie house blowing a chance to create a website or you are just advertising? Great article Nigel. Thanks for the cover.